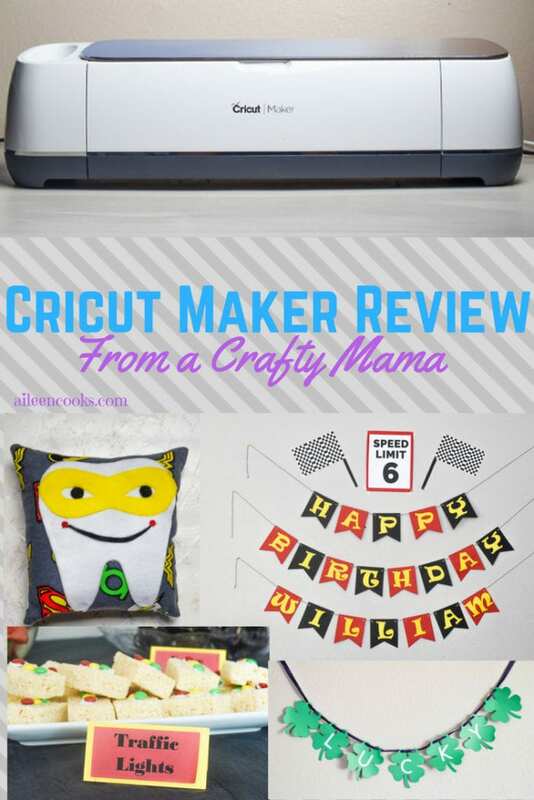 If you’re in the market for a new cutting machine then you will want to read this Cricut Maker review. We share the reasons why this machine may or not be the best machine for you. 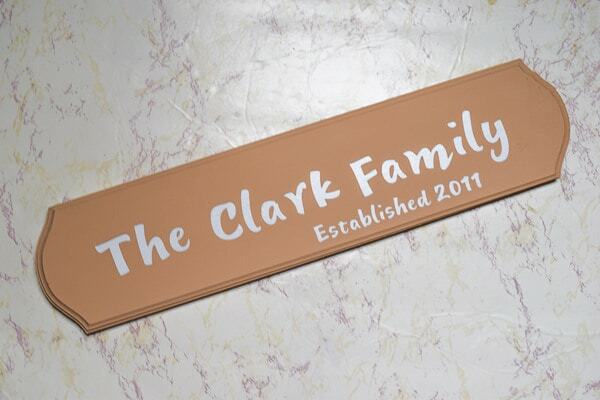 Family name sign made with the Cricut Maker. If you have done your research, you know the Cricut Maker is pricey. The Cricut Explore Air is much more affordable. The Air can cut vinyl and paper. It can also cut fabric, but it is a bit of a headache because you have to add heat bond onto the fabric prior to cutting. I ultimately decided on the Cricut Maker because of the rotary blade and its ability to cut any type of fabric without much fuss. Also, as Cricut adds more accessories, it will be available for the Maker and not necessarily for the Explore Air. 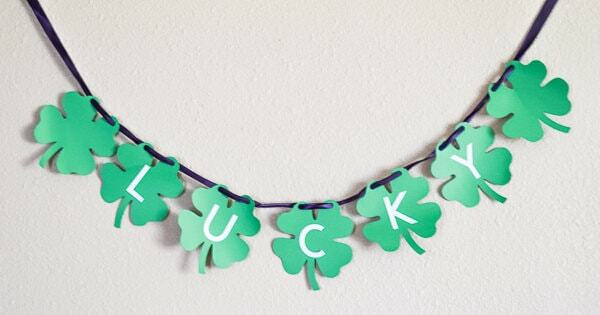 Cardstock “Lucky” banner created with Cricut Maker. 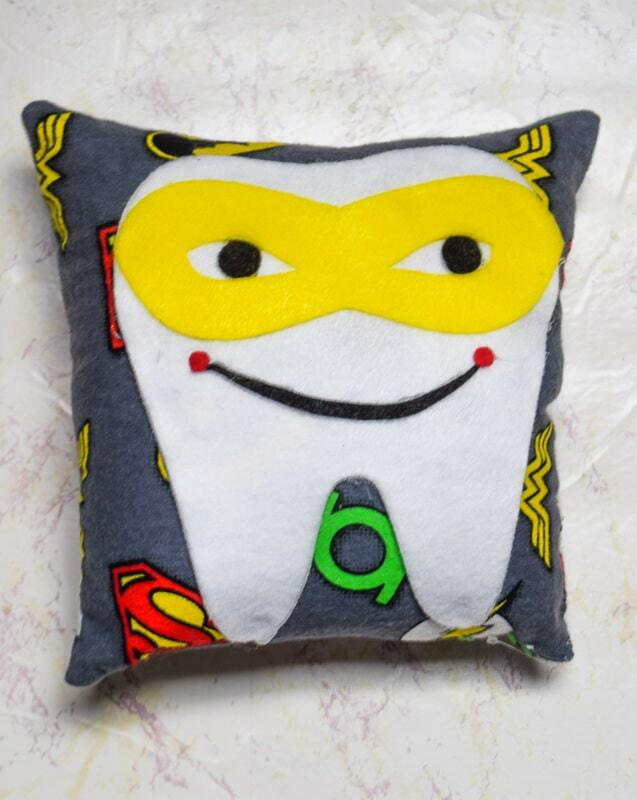 I recently tested out the fabric feature while making my son a superhero tooth fairy pillow and can confirm that it cuts fabric really, really well. Crafting with fabric is one of my very favorite things to do, but I am terrible at cutting straight lines or any type of pattern. It’s the reason why my sewing machine has been in a corner collecting dust since we moved. Tooth fairy pillow made with the Cricut Maker. I finally blew the dust off of my sewing machine, thanks to my Cricut Maker! The Maker is also great at cutting vinyl, heat transfer vinyl (for making t-shirts), paper, and can even cut wood (although, I have not tested out that feature yet). I love that I can create whatever design I want in design space and it will cut it for me. 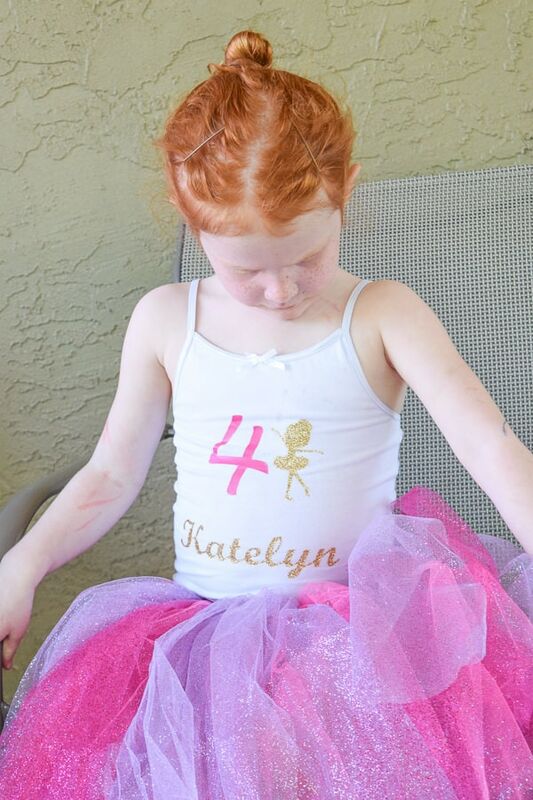 Ballerina birthday shirt made with the Cricut Maker. The Print Then Cut feature is also great if you want lots of colors in a small space like I did here for my son’s Monster Truck Birthday Party. 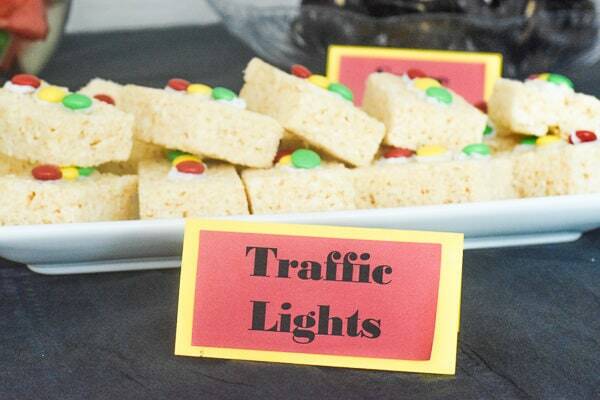 Traffic Lights label made with Print Then Cut feature on Cricut Maker. Cons of the Cricut Maker? As a person who had never used a cutting machine before, it was very intimidating. It reminded me of my early days using the Instant Pot. I really had to force myself to try (and have some failures) so that I could learn how to use my Cricut Maker machine. Also, the cutting area is not huge. So if you have grand plans to make a 3-foot by 3-foot vinyl decal for your vehicle, then the Cricut Maker is probably not for you. The same goes for cutting large pieces of fabric. The maximum is 12×12 inches wide. There are longer cutting mats you can purchase, but the with will stay at 12 inches. 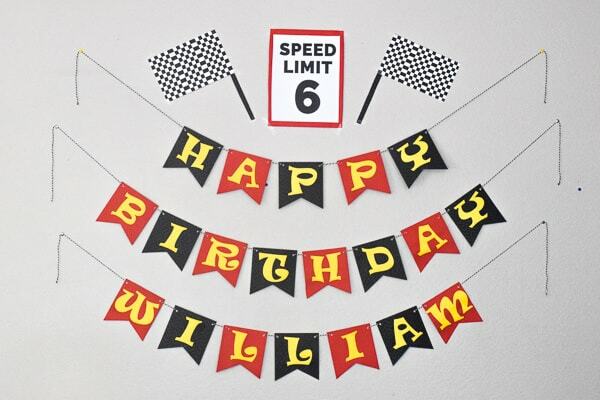 Monster truck birthday party decorations made with Cricut Maker. Overall, I am absolutely in love with my Cricut Maker. 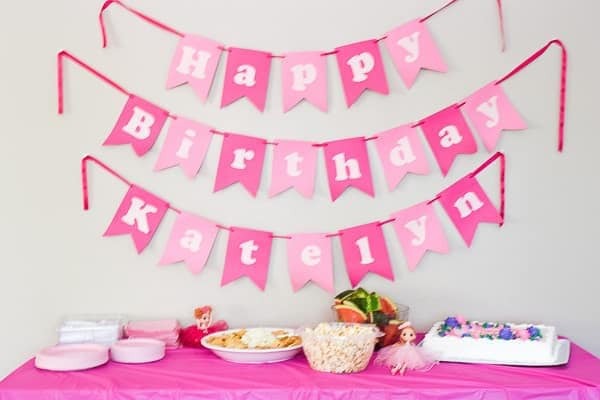 I have made two sets of custom birthday decorations for my kids (see the ballerina party here) so far and look forward to expanding into more fabric and vinyl projects.